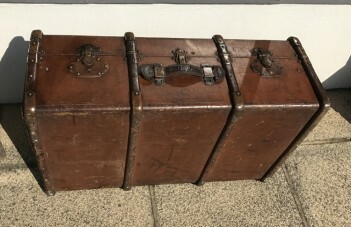 Wood bound (mahogany) cloth/canvas leather and brass travelling trunk. From the early 1900's with some original stickers on it. It is in good condition for it's age.